Hitch RV is located in Berlin, NJ on state Route 73 between I-30 and the Atlantic City Expressway. We're a short drive from Philadelphia and we serve RVers throughout the east including New Jersey, Pennsylvania, and Maryland. 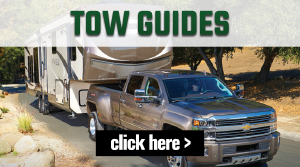 We carry New RVs including Travel Trailers, Fifth Wheels, Toy Haulers, Motorhomes, Destination Trailers and Park Model Homes from top manufacturers that you will love. We also carry a large inventory of Used RVs of all types and price ranges. Hitch RV in Berlin is a full service dealership featuring RV Sales, RV Parts and RV Service. We pride ourselves in offering the best product and exceptional service at fair prices.